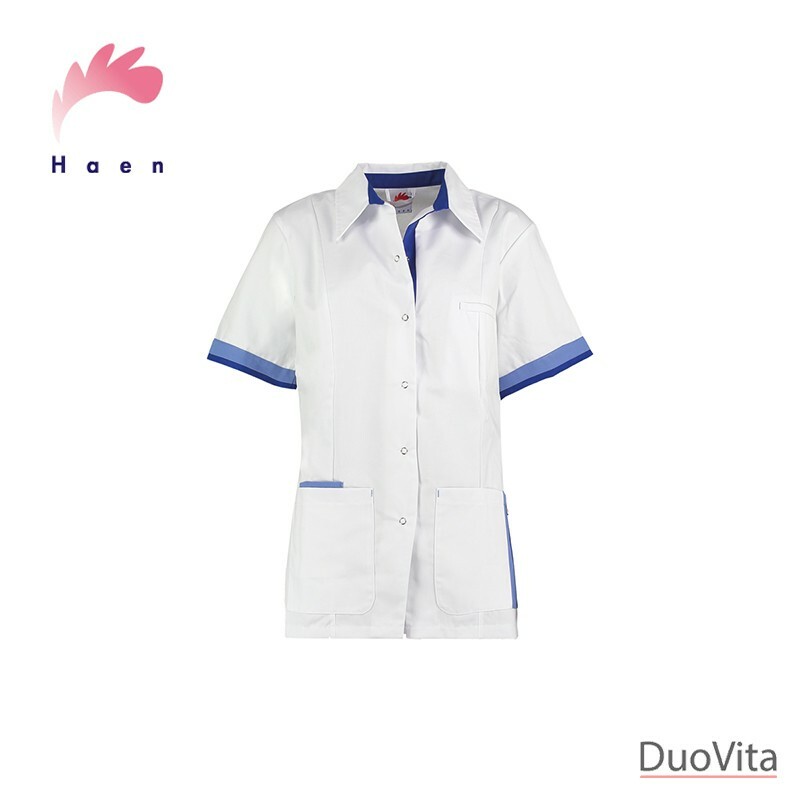 The Nurse Uniform Indy has a form fitting shape and neat shirt collar. 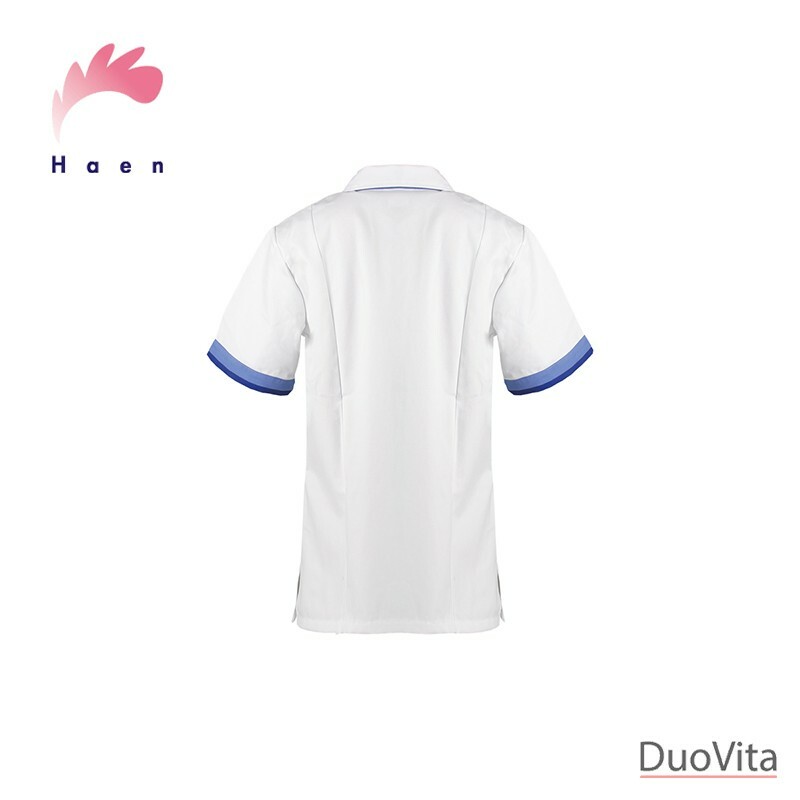 The Nurse Uniform Indy has a form fitting shape and neat shirt collar. 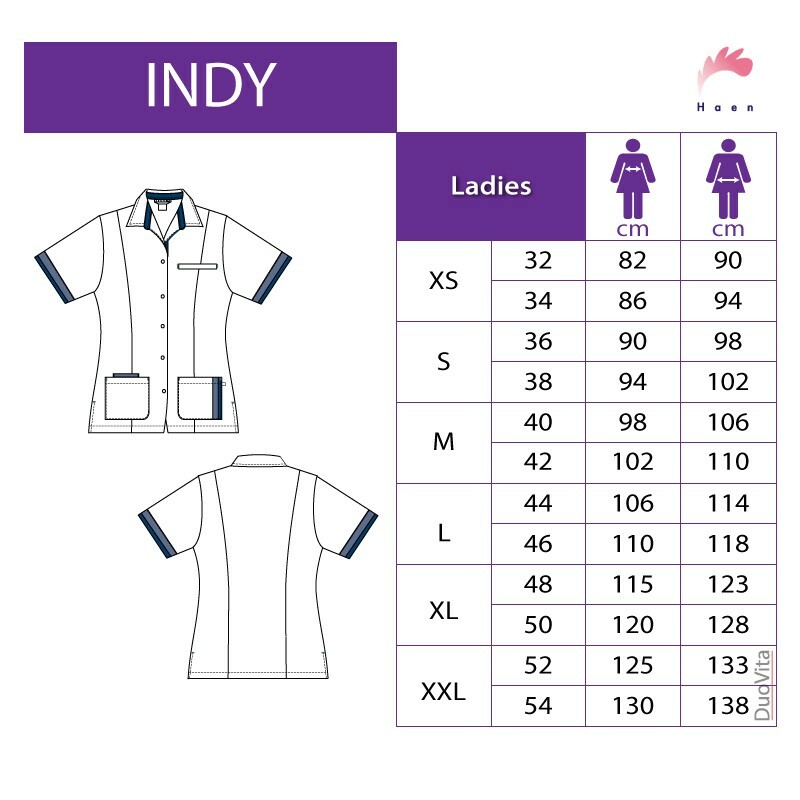 The Indy model, due to the contrast between the white and the blue, stands out as a professional and modern model. The jacket has snap button studs on the front and slits on both sides to provide ease of movement. With four different pockets you will always have all your utensils at hand.